Traces of the old city, still visible in the midst of the next city. If there are blocks in the next city, and I think there will be, and if the blocks are 250′ or 300,’ then nearly 40 blocks will cover that old cloverleaf interchange. Good riddance. While doing research on how to make the next city more attractive, usable, and sustainable, I ran across what seemed at the moment like a tiny little detail – plastic bags. It turns out that perhaps this is not such a little thing at all. It turns out that every year 5 trillion plastic bags are manufactured, and only 1 in 200 is recycled (Worldwatch Institute). The rest hang in our trees, or poison the oceans, causing huge wildlife and pollution problems. It takes 300 years or so for a plastic bag to biodegrade. Oh, and manufacturing them requires 10,000,000 barrels of oil every year. First commercially available plastic bag: 1957. The first city in the U.S. to ban plastic bags: San Francisco, in 2007. Makes sense – plastic bags pollute and create big problems, so we’ll simply replace them, right? But it further turns out that making bags out of paper uses more water and more resources. Recyclable yes, but more energy and resource intensive. But now you can buy biodegradable bags – bags that are made of corn starch or equal, and biodegrade in about 18 days. Perfect solution, yes? At the 2000 Sydney Olympics, officials recycled/composted 76% of all bags, containers, even utensils made of the stuff. Any size, any shape, even plates, knives, forks, spoons. Great – next issue? But – hold on a minute. They’re not easy to reuse, especially when they get wet. They compost, but they are not without their critics – they don’t degrade well in landfills, and perform best in controlled composting. Their manufacture throws a lot of carbon into the atmosphere, and though they come from renewable sources, their cultivation requires a lot of energy, fertilizer and chemicals, and water. So this seemingly little plastic bag thing quickly leads us to a whole range of much larger issues. Most cities are not set up for controlled composting. Lots of city dwellers compost, and many cities encourage citizens to compost in their yards, or apartments, but not many have actual municipal facilities to handle compost. (If only we had enough urban farmers to demand tons of compost…). As near as I can tell, DC does not have any kind of municipal composting program at all. All of this is to suggest that our cities are really not set up for a better future. A good example of how we do not have the right infrastructure for the next city? Toronto. It turns out that they recently announced a plan to build two organic waste facilities for their “Green Bin” program, giving them a capacity of 110,000 tons of organic waste per year. Great. But. Toronto city council recently approved a contract for solid waste pickup and removal. It turns out that Toronto is shipping 800,000 tons of trash to MICHIGAN every year. 90 semis of trash a day, traveling to a landfill in Wayne County, Michigan, 256 miles away. It is costing Toronto nearly $50,000,000 a year to do this, notwithstanding what it’s costing all of us in wasted resources, wear and tear on roads and infrastructure, additional traffic, and lots of air pollution. Viewing the World of Tomorrow, Futurama, 1939. 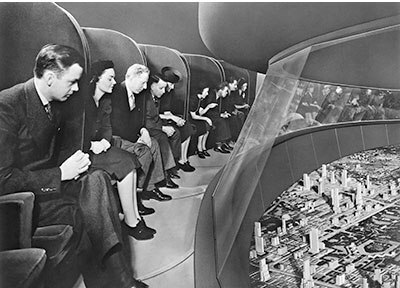 At the 1939 New York World’s Fair, GM created “Futurama.” The centerpiece of their exhibition was a giant model of the American landscape of the future, 1960. Visitors took seats around the circular model, and slowly rotated to take in all of the prognostication. 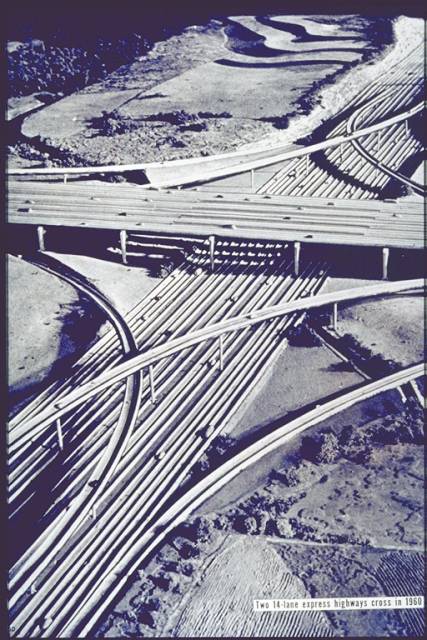 The caption on the image below, from Futurama, reads: “Two 14-lane express highways cross in 1960.” Direct hit, GM. GM’s Futurama, New York World’s Fair, 1939. We have been gazing into the future for quite a long time, and often with pretty deadly results. 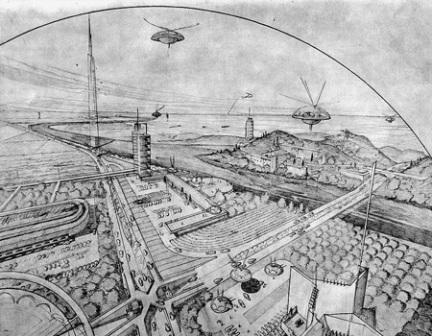 Here are two more 20th century visions: Le Corbusier, stirring up controversy by proposing to bulldoze central Paris with his Voisin Plan, and Frank Lloyd Wright and his whirlybirds in the anti-urban Broadacre City. In retrospect, we actually did build the Voisin Plan, or something quite like it, in Chicago. 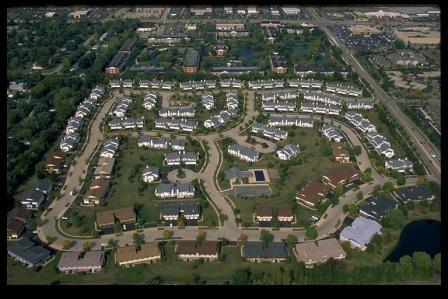 It was public housing, called the Robert Taylor Homes, and now bulldozed itself. And Broadacre City became a kind of template for something we have come to know as suburbia. 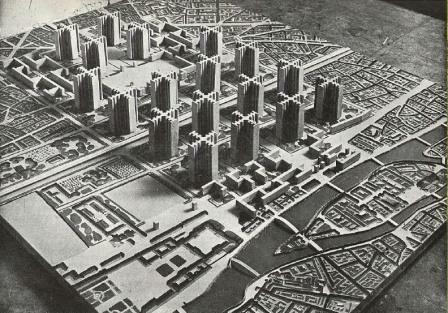 Le Corbusier’s Voisin Plan, Paris, 1925. Frank Lloyd Wright’s Broadacre City, first described in 1932. 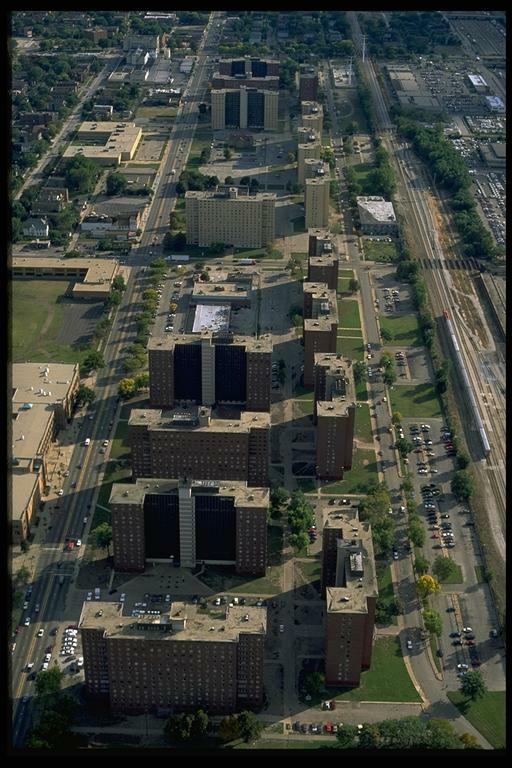 Robert Taylor Homes, Chicago, completed in 1962. Schaumburg, Illinois. Image by Alex MacLean. Ironically, it may have been Hanna and Barbera who cut closest to the truth, with the Jetsons, which began in 1962 and ran into the 1980s. Note the alarmed look on George’s face, and the date on Jane’s watch – 2007. Hmm. 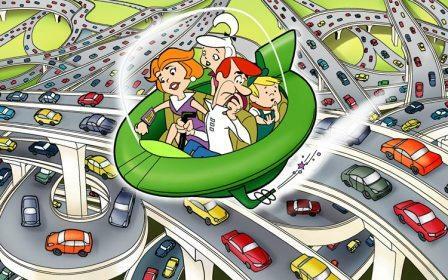 George and Jane, Judy and Elroy – the Jetsons. As we cast about for images of mobility for the next city, maybe these guys have it right. 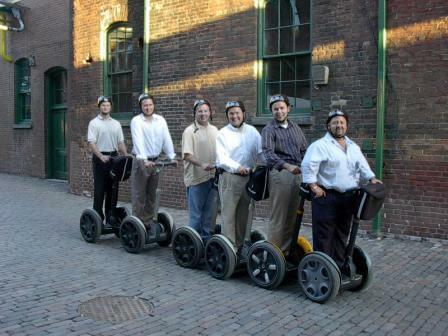 The Segway guys, in Toronto. Out into the world of tomorrow! But be careful what you wish for. Take a look at an article, link below, in Monday’s International Herald Tribune. It’s about an exhibition in Belgium focusing on water issues. Oh, and this: it takes 10 gallons of water to make a sheet of paper, and 40,000 gallons of water to make a car. We have tried here in the last months to describe how our cities, where more than half the world’s population now lives, (80% of all Americans live in cities) are obsolete, and are failing and will more acutely fail to operate as usable human communities in the years ahead. This obsolescence and failure is no longer subject to debate. 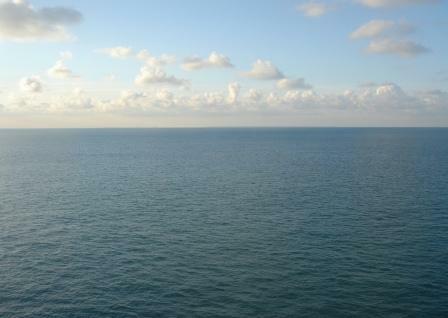 We face increasingly serious shortages of water, energy, and food. We face changing climates coupled with rampant pollution. And in the US, these facts are combined with unacceptably high levels of resource consumption. 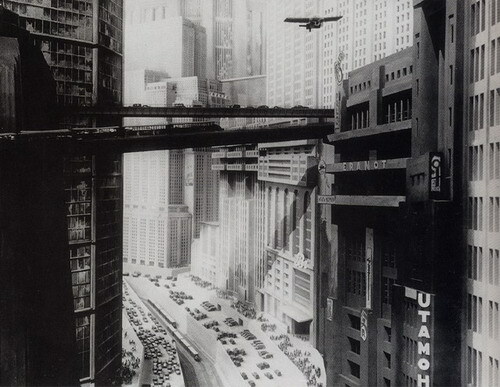 All these certainties suggest that we urgently rethink and reimagine our cities. The way we live in our cities must change, we must make these changes now, and at the speed of light. What revisions do we need to consider as we imagine the next city? If we can talk about what needs to be done, perhaps it will be easier to envision some of the changes we must make in order to shape a usable urban future. 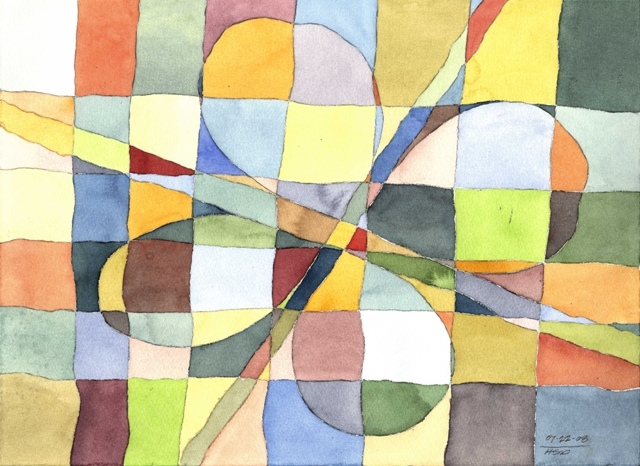 Maybe some kind of plan or approach can begin to emerge, with lists of options and sequences. And if we begin to make suggestions, perhaps our readers can naysay, rebut, fill in the blanks, and show us all better ways to make our urban futures. 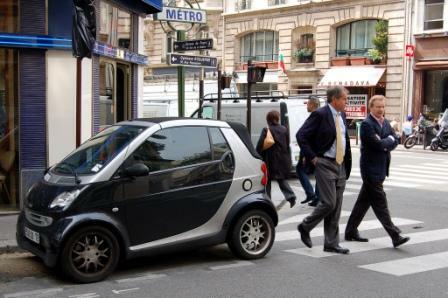 Paris, and a Smart Car. Image from flickr. 1. First, and perhaps foremost, the next city must be for people, and not cars. We have to get rid of cars. A geometric increase in transit options is absolutely required, scaled from the very local to the national and international. Build no more roads, or parking – we will need this land for other things. We must cure ourselves of the notion that an emerging technology will suddenly pop up to allow us to continue to drive cars – cars are obsolete. Even hybrids. Buy a Segway, and a new raincoat. 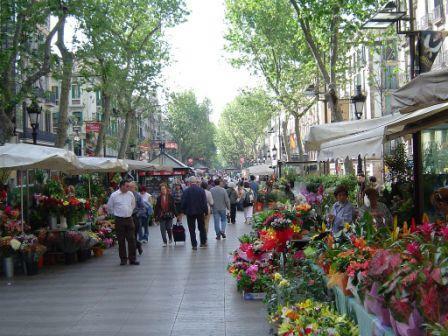 Las Ramblas, Barcelona. Image from flickr. 2. The next city must be very dense, with mixtures of uses, where we can easily walk or bike to work, to shop, or to sustain our social and cultural lives. The density comes with the walkability. We advocate the 1 mile walking circle – for most folks, that’s 20 minutes – as a good measure of an urban neighborhood. What makes the center of a neighborhood? Transit, markets, other shops, library, churches, food spots and cafes, some office spaces for the local health care folks, and perhaps one or two city-wide attractions or institutions. 3. Anything that is old stays. When we build, we embody our buildings with the energy and materials it takes to create them. Energy is precious. If it’s there already, we need to alter it perhaps, change its use or modify its configuration. But let’s not throw anything away. And it should go without saying that anything new must be built to the highest levels of sustainability. Beyond LEED platinum – all the way to zero. If the new can’t measure up, don’t build it. The Straus Building (r.) and the McCormick Building, Chicago. Both built as offices, both now residences. 4. We will need to understand that with increased density will likely come scale shifts to smaller homes, in perhaps unexpected places. Most of us will work in our homes, instead of in the office buildings that fill our cities. We will need to convert most of those buildings to live/work residences, a process that is already underway in most US urban centers. And strip malls? 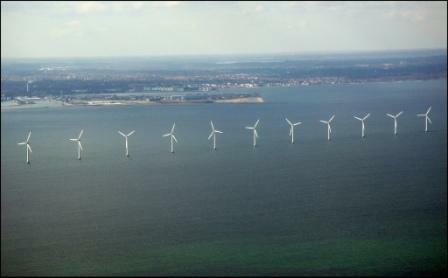 Danish wind farm, near Copenhagen. 5. The next city must generate its energy in a sustainable fashion. Perhaps this will mean some form of distributed generation, where energy is created on a much more localized scale. Using a combination of sustainable techniques, in concert with one another, we can take best advantage of local and regional characteristics: sun, wind, tides, seasons, even perhaps our own walking could be turned into energy assets. We could combine, say, solid oxide fuel cells, thin film solar panels, wind if we have it, and other techniques, and we could do so in polygenerational ways: a single local plant could generate our power, heat, and cooling. And perhaps this happens at the scale of a neighborhood instead of an entire region. 6. We must also quickly alter the ways we manage what is becoming our most precious resource – water. As with energy, perhaps we can do this at a local scale, using distributed water treatment systems. We must begin to imagine our water resources as existing in a closed – not an open – loop, where nearly all of our water is used, treated, and reused indefinitely, and we replenish the system for evaporation only. And we can disconnect our toilets from this open loop, and compost human waste, perhaps combined with table scraps and other compostable natural waste, and recapture the nutrients and organic matter and return them to the soil. 7. Food must come from very near the city. We cannot afford to ship food across the country, or the world. ‘Eat local’ is a trendy mantra, but for a variety of very good reasons, ranging from conserving energy to improving our health, we need to substantially increase the percentage of our sustenance that comes from each urban region. Food costs have risen 50% since last October, mostly due to rising petroleum costs. 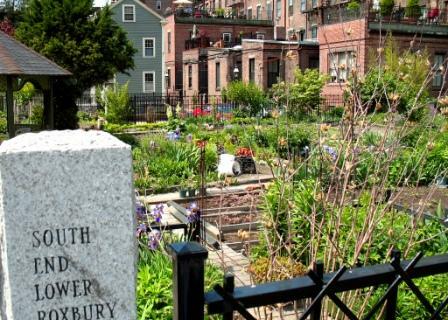 Community garden, Boston. Image from flickr. Community gardens can sprout up on unused parking lots. Increasing numbers of local markets can share locally grown fare. Community supported agriculture (local farms – known as CSAs) will increase exponentially. And we will all begin to relearn what it means to eat seasonally, regionally. In Hanoi, as Dr. Lester Brown of the Earth Watch Institute tells us, 80% of the fresh vegetables come from farms in or adjacent to the city, as well as 50% of the chicken and pork and fish, and 40% of the eggs. 8. Non-organic solid waste must cease, or be substantially curbed. Not only because this uses enormous amounts of land, and takes enormous amounts of energy to create, but also because much of this waste ends up in the ocean, or takes such a long time to degrade that it represents a very serious long term pollution source. All packaging must be bio-degradable. No plastics. Only soy inks. You get the idea. 9. Expect, and consume, less. As Jared Diamond, Professor of Geography at UCLA, tells us: “If India as well as China were to catch up (to our rate of consumption) world consumption rates would triple. If the whole developing world were to catch up, world rates would increase elevenfold. 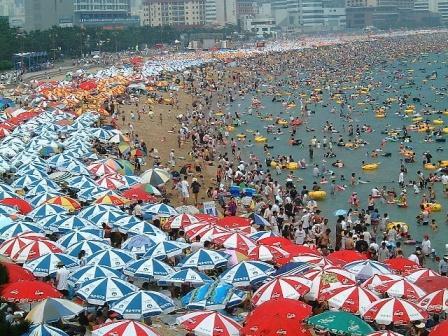 It would be as if the world population ballooned to 72 billion.” Feeling a bit crowded? How much of what we buy on a weekly basis is really required to sustain a decent life? Eschew Wal-Mart. Pusan, Korea. image from flickr. The new image of an idea – a CFL. 10. 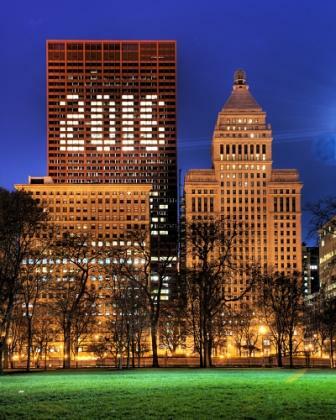 Change all the next city’s light bulbs. 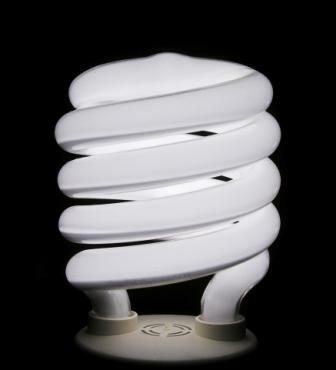 If the world replaced all incandescent bulbs with CFLs (compact fluorescent lights) we would reduce electricity consumption by 75%. Shocking but true. Said another way, if every American home acquired one CFL, the electricity saved would power a city of 1.5 million. Or said yet another way, installing one CFL is equal to removing 1.3 million cars from the road. And while we’re at it, let’s replace all streetlights and traffic signals and outdoor lighting with LEDs (light emitting diodes) – this technology has had some remarkable breakthroughs, and LEDs consume 10% of a streetlight’s energy, while lasting 10 times longer. Ten objectives for the next city. What are we missing? Besides how to pay for all the changes, generate the national will to make these changes, and then accomplish them. Other than that? These goals require a fundamental rethinking of our national infrastructure, our industry, our economy, what we spend and how we tax, and how we live and work. Ready? Go change your lightbulbs.